#FCLMblog | Lokomotiv Mosca Blog: Maksim Belyaev joins Shinnik. Defender Maksim Belyaev has signed for FNL side Shinnik Yaroslavl. 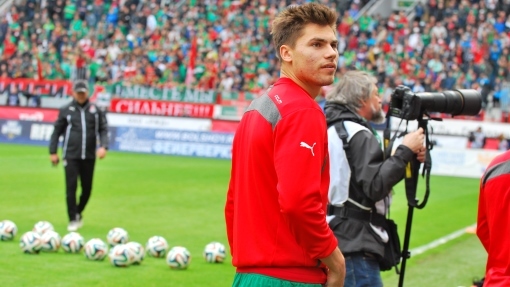 Grown up in Lokomotiv, he played many years in Lokomotiv and often was sent on loan to other clubs. He spent in overall six years at Cherkizovo, playing 12 matches in RPL and scoring a goal. Last season, he was included only two times in the bench squad. The 23 years-old old has already joined his new teammates. We want to thank with Maksim for his years in Lokomotiv, wishing him a good future and all the best in his new team!